Presenting the new Twin Motion Activated Floodlight by Xtralite. 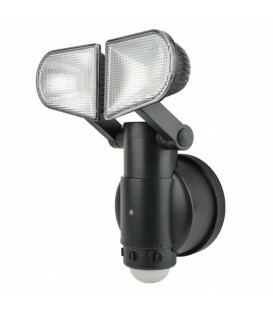 The Twin Motion Activated LED Floodlight can easily be mounted onto any surface. Perfect for a variety of installations especially where there is no mains power supply or connecting to the mains would be difficult. The light heads swivel 180° horizontally and vertically for easy adjustment. Residential properties - at the front, side or back of the house and on sheds and garages. Farms - Farm buildings and barns. Community areas – Corridors and shared entries etc. Especially useful where there is no access to electric power and easy for the DIY enthusiast to install.